The Thai mushroom is known for the happy milkshakes the Thai population makes from it. The strength of the Tai is comparable to the Mexican. Eat them and remember the endless summer festivities, the trip to the sun and the white beaches. 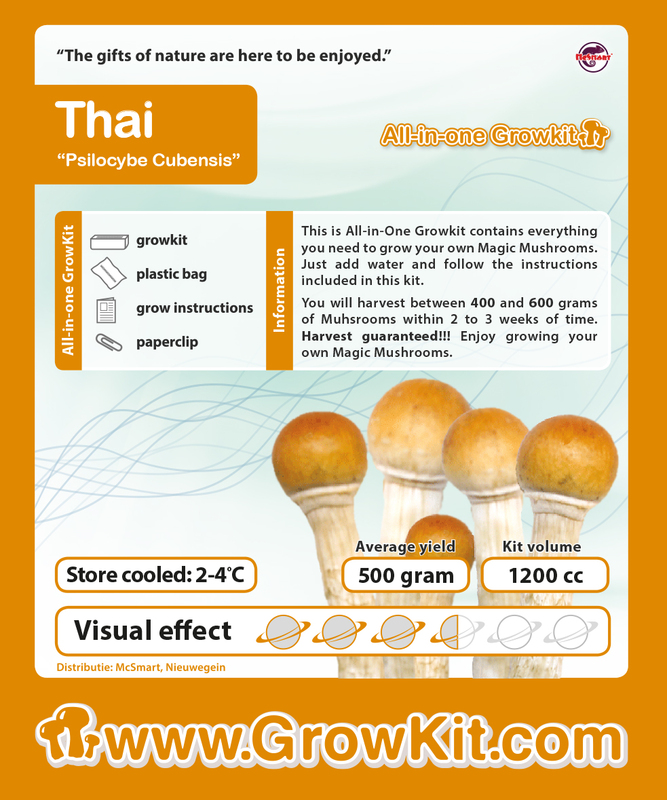 They are also known because of the big yield you get of this grow kit. When cooled you can store the kit about 6 moths. Outside the refrigerator the kit has a limited shelf life.